The different types of mobile applications and their features are, one must make it clear, something that is a mobile application. Then it can be said that a mobile application is a computer application developed to be executed through an intelligent mobile device, tablet or another device for which it is desired to be implemented. These are in stores, through which they are accessed by the public who wishes to use them. Within these distribution platforms of mobile applications, you can find two types, free and paid, but that is something that is not of interest at this time. 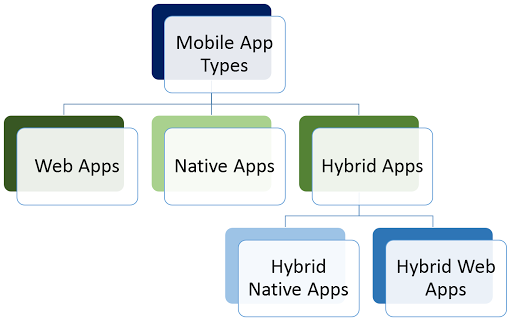 But it is important to clarify that not all mobile applications do not have The same characteristics are neither of the same types, and that is what we will focus on in this article. 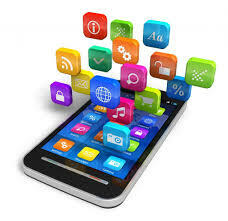 The types of mobile applications that are known are native, hybrid and web. In native application allows its operation to be very fluid and stable for the operating system that was created. But it is also important to remember that everything in this life has its advantages and disadvantages and that native applications are not the exception. The advantages and disadvantages of these are Advantages Use of both system and hardware resources. It allows being published in stores for distribution. Mostly, they do not need to be connected to the Internet for their operation. Disadvantages They can only be used by a device that has the system for which it was developed. It requires a cost to distribute it in a store and depending on the system, for the use of the development environment. They need the approval to be published on the platform. They can be used from any device regardless of the operating system. It may require a cost for its development, the worse this may be in comparison to the native ones. They do not require any approval for their publication. They do not use the resources of the system or the device optimally. Use of device and operating system resources The cost of development may be less than that of a native one They are multiplatform It allows for distribution through the stores of its respective platform. The documentation can be a bit scanty and messy. when developing mobile applications there are many options to use, depending on the type of information you want to provide and the way it is done, the use of the resources of mobile devices and Your operating system, the time and money we count for that development. It should be noted that there are also different types of architectures that can be implemented in applications depending on the information that is offered, whether dynamic or static. Developing an application for a computer system consists in giving the elements that make up that system the necessary instructions to behave as we are interested; This procedure is called application programming. In spite of the remarkable increase in the capacity of calculation of the processors that use the mobile devices, still, they are still remarkably inferiors to those of the computers. The small size of the screens of mobile devices and their variety (usually between 4 and 10 inches diagonally) requires interface designers to explore new solutions that put aside the traditional presentation of information through texts and favor other formats more appropriate for these devices such as graphics or sound. Systems of interaction add to the classic monitor + keyboard/mouse: In the mobile devices the user interacts with the system essentially through the touchscreen; the mouse and keyboard simply disappeared, or are offered as optional or in virtual mode. Despite the multiple connection methods that include current mobile devices (GPRS / 3G / 4G, Wi-Fi, Bluetooth, and NFC), as programmers we cannot assume that connectivity is stable or even constant, so our Applications must be designed to handle a possible loss of connection, that is, to work in offline mode.